Trying to lose weight can be difficult. The American Dietetic Association recommends making small, manageable changes to the diet to lose weight. Omitting soda from the diet is an easy change for most people. However, it may not be enough. To lose weight, people need to eat fewer calories than they burn, the Harvard School of Public Health says. While a 12-oz. serving of regular soda has about 150 calories, eliminating soda from the diet may not represent enough of a calorie reduction for weight loss. The U.S. Department of Agriculture's MyPyramid Food Tracker can help track calorie intake. The tool calculates calorie intake and compares the figure to actual needs. It can help people identify sources of excessive calories when they are not losing weight by eliminating soda. People who stop drinking soda may choose to drink other beverages, such as juice or vitamin water, thinking they are healthier options. 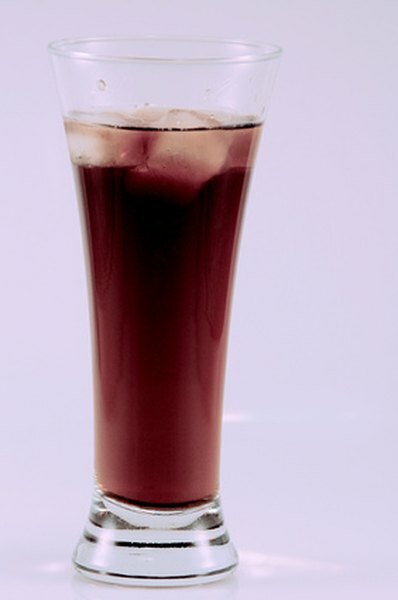 Twelve ounces of juice has about 180 calories, and 12 oz. of sweetened vitamin water has about 80 calories. When it comes to weight loss, every calorie counts. Diet soda may not be a good option, either. The Mayo Clinic says some studies indicate that people who drink more than one can of regular or diet soda could be at greater risk for developing obesity and diabetes. However, a person's overall diet might be to blame, not necessarily the diet soda, researchers have said. Water is the healthiest choice, and it is calorie free. People who have difficulty losing weight may not be burning enough calories. To lose weight, a dieter needs to create a calorie deficit. One way to accomplish this is through increased physical activity. The American Academy of Family Physicians says the best way to lose weight is to expend at least 250 calories a day through physical activity. The Harvard School of Public Health suggests a brisk 60-minute walk or 40-minute jog. Skipping meals is not an effective way to lose weight because that leads to hunger and overeating, according to The American Academy of Family Physicians. A Harvard School of Public Health study published in a 2007 issue of "Obesity" investigated the association of breakfast consumption and weight gain in the adult male population. The study concluded that men who eat breakfast may be less likely to gain weight than those who skip breakfast. Genetics may prevent weight loss, even you cut out the soda. The Harvard School of Public Health says some people are genetically predisposed to gain weight. People may also have a genetic drive to eat more now to store for later to survive feast-famine conditions. This is known as the thrifty gene hypothesis, Harvard doctors say.